Nine advised media today to witness “The New Nine” and were true to their word. In a shake-up of their existing services, the network is launching a new lifestyle free-to-air channel, will stream all of its channels online as part of a revamped catch-up service, and in a move that will make a lot of sports fans across the country happy, will simulcast its primary channel in HD. From 26 November 2015, Nine’s primary channel will be simulcast in high definition. With over 90% of Australians having access to high definition channels and the increasing size of lounge room television sets, many sports fans complained about sporting events continuing to be broadcast in standard definition. With the Third Test commencing the next day on 27 November, viewers will be able to watch the cricket with greater picture clarity. Along with the move to HD, 26 November will also see the launch of a new lifestyle channel. 9Life will be dedicated to lifestyle and reality programs, with content provided by US company Scripps Networks Interactive. The channel will offer programming including The Bachelor, Million Dollar Listing, The Real Housewives, House Hunters International, and Flip or Flop. Fans of the SBS cult hit If You Are The One may be curious to see its UK inspiration, Take Me Out, which is included as part of the Scripps deal. Nine advised that both The Bachelor US and The Bachelorette US will both be screened day and date with the US airing. Nine’s deal with Scripps comes just a week after SBS announced its own deal with Scripps to provide content for its new Food Network free-to-air channel. Coming in 2016, Nine will scrap its existing catch-up service 9Jumpin. Developed initially as a television check-in app, the service was tweaked to include video on demand content. 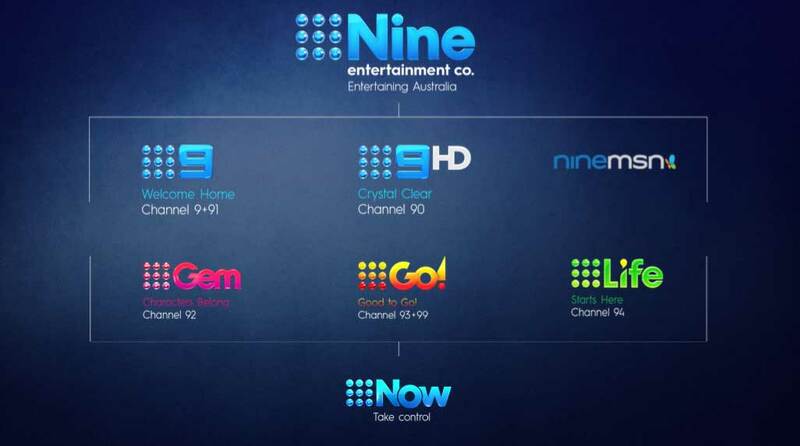 Nine will replace it with 9Now, a newly built platform that will accommodate both catch-up TV, on demand content and simulcast streams of its linear TV channels. Nine’s primary channel will be the first to stream on the new platform, with the others following soon after as content rights are finalised. 9Now will launch on desktop and mobile with apps built for both Android and iOS. An app for Windows will soon follow. Connected TV devices will also be supported, with 9Now set to be made available on Telstra TV, Apple TV, Sony, Samsung, LG, Playstation and on HbbTV. After launch, the platform will also be available on Xbox and Fetch TV. The HD simulcast of Nine’s primary channel means that Gem, which currently occupies their HD channel will be moved to an SD signal. Another casualty in the readjustment of channels is the home shopping channel Extra. Currently occupying two channels, Extra will be scaled back to just the one channel as 9Life occupies the remaining channel. The loss of the second Extra channel doesn’t phase Wiltshire. “There is a time when you have to consider the fact that you have two channels running out delivering largely a parallel products to the consumers that is largely a retail outlet, as opposed to an entertainment format outlet,” he said. To accommodate the addition of the HD channel, some viewers may need to re-scan the channels on their sets.